Glass Mosaic Tile in Brown Cocoa Frosted Blend Color. Sold in 12" x 12" Mesh Backed Sheet. Tile Size 9/16" x 9/16". 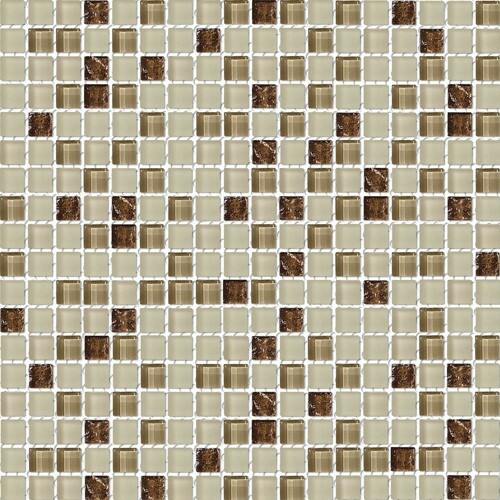 Contemporary glass mosaic tiles sold in 12" x 12" sheet, each tile is 9/16" x 9/16".